Time for a road report as the Dry Season approaches and more people start coming up soon. And the website is now mobile friendly as was promised. The whole time from January until now we have been waiting for the start of the proper Wet Season. And as I write on the last day of the official Wet Season, we have not really had one. There have been some periods, often not longer than a week, particularly closer to the beginning of the year. But in the later months almost the only time we had proper rains was when Cyclone Nathan was around. The rest of the days, very often our Wet Season skies looked like on the photo below, which obviously we didn't mind, but it made us wonder. The rest of the peninsula also had a drier than normal year I hear from Weipa and every other place I ask - and even Cairns (which, being in the Wet Tropics, is supposed to have more rain than us). The cyclone scene also seems to be changing, it was already old news that severe cyclones were extremely rare only before Larry in 2006 and Yasi in 2011, Ita in 2014 ... but this year - Marcia Cat 5, Lam Cat 3, Nathan Cat 4, Olwyn that reached Cat 3 at one stage, and Quang off the coast of Exmouth is Cat 4 as I write, we do wonder what the future years have to bring. So much about the climate change, but what does this mean for travellers? Mulligan Highway to Cooktown is open, but the Battlecamp Road and Lakefield National Park are still closed. 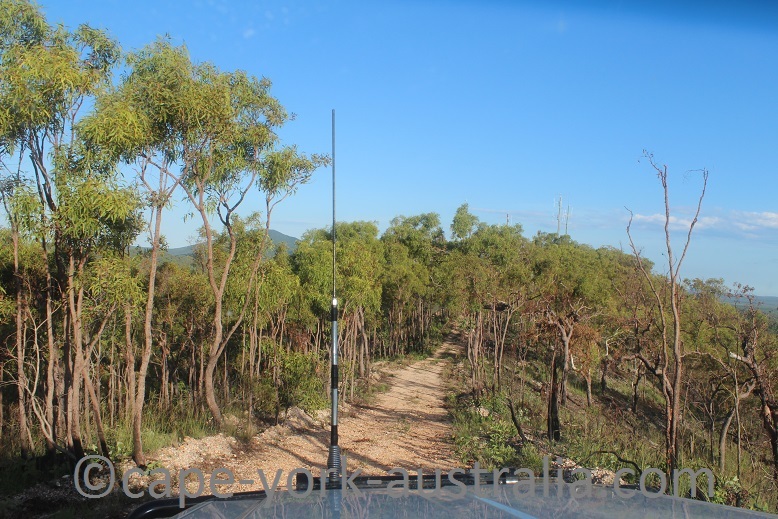 Peninsula Developmental Road to Weipa is open, as well as the road to the Tip. The road to Mapoon is open (with a few potholes). Bypass Roads are open, Vrilya Point is closed. The Old Telegraph Track is adventurous, but people are getting through, not meaning they are doing every crossing though, as there are bypass tracks. The road to Lockhart River is open. The road to Port Stewart is open. Bloomfield Road is open, CREB Track is closed, which is not a surprise (being in the Wet Tropics and steep it usually opens later in the year). The roads to both Pormpuraaw and Kowanyama are open and even the track between the two (which is a surprise for this time of the year!). Burke Developmental Road is open but a little chopped up from vehicles having gone through when it was wet and boggy. Mt Carbine Roadhouse is open again since it burned down in late 2013. 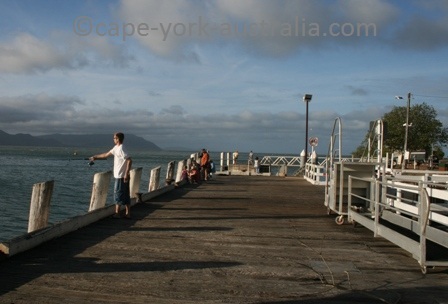 Cooktown has a new wharf (some miss the old wooden one on the photo below). 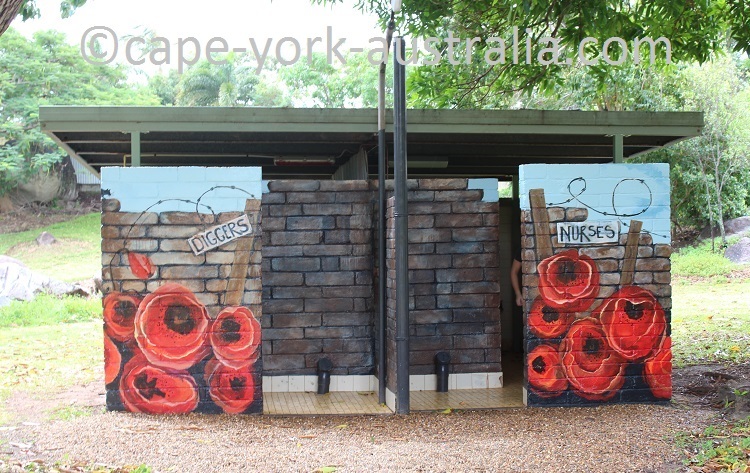 And if you come to the town, please check out our beautiful new additions in the Anzac Park, some freshly painted, others freshly created, as part of the preparation for the ANZAC Day celebrations this year. The website is mobile friendly as promised, and while I am still fixing bits and pieces (everything that doesn't look perfect on the mobile screen will be fixed), you can now read it on your mobile phone. The newsletter back issues page was also broken lately, that has also been fixed. That's all for this time - happy planning! !